One News Page > Entertainment News > Former 'Every Witch Way' Star Nick Merico Auditions For 'American Idol' - Watch! 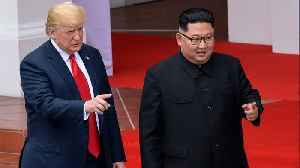 With eight of the American Idol 2019 Top Ten already selected, it's down to Luke Bryan and Katy Perry to choose the final two performers that they'd like to save. 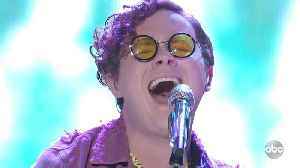 Who will be the final two members of..
Laine Hardy celebrates making it to the American Idol 2019 Top Ten with a performance of 'Hurricane' by The Band of Heathens. 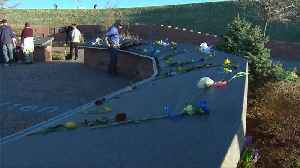 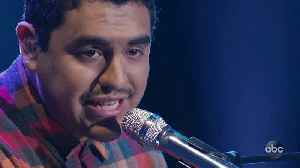 Watch more performances and full episodes of American Idol on ABC.com and..
Alejandro Aranda celebrates making it into the American Idol 2019 Top Ten with a performance of his own original song, 'Cholo Love.' 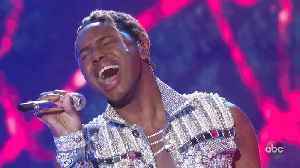 Watch more performances and full episodes of American Idol on..
Uche fights to stay alive in the American Idol competition with a performance of Rihanna's 'Diamonds' for judges Katy Perry, Luke Bryan and Lionel Richie. 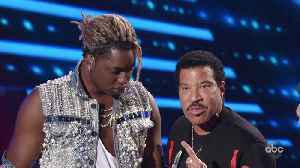 Watch more performances and full episodes of..
After a stunning performance of Rihanna's 'Diamonds,' judge Lionel Richie knows there's only one thing to do: he uses his pick to put Uche straight into the American Idol 2019 Top Ten! 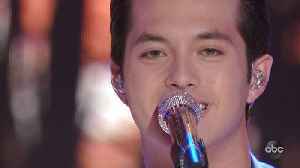 Watch more..
Eddie Island tries to stay alive in the American Idol competition by performing the Kings of Leon hit 'Use Somebody' for judges Katy Perry, Luke Bryan and Lionel Richie. 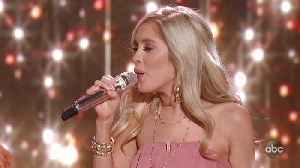 Watch more performances and..
Laci Kaye Booth performs the Fleetwood Mac hit 'As Long As You Follow' to celebrate making it into the American Idol 2019 Top Ten. Watch more performances and full episodes of American Idol on ABC.com..